Quite apart from a practical to store your personal belongings, what a story these antique dressers could tell. We offer a wide range of vintage chests of drawers from days gone by, whether your taste is French provincial, Art Deco or exclusive mirrored chests of drawers with patina. 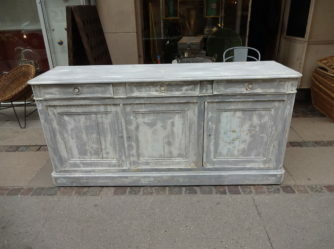 If you lean towards a more raw industrial look, look no further than our unique selection of preloved antique dressers. 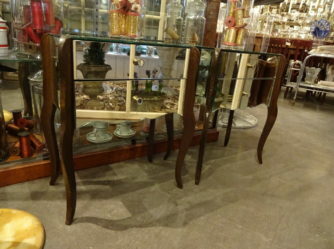 You’ll find everything your heart desires here, that is if you are into antique top quality dressers. There is undeniably something for any taste, whether on the lookout for the right bedroom drawers, a vintage mirrored dresser for the entranceway, or perhaps a vintage pharmacy chest of drawers. And if you still can’t find that very antique French dresser with patina you’re looking for, take a dreamy journey through our range, and something will turn up sooner or later. 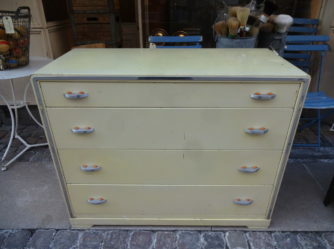 Fil de Fer has hand picked vintage drawers and dressers for all purposes and in many varieties. We are continually finding and transporting new treasures home, as we scour the antique dealers’ treasure troves abroad. Many of our vintage furniture is found beyond Denmark’s borders, not least from France, where we find gorgeous exclusive dressers with glorious patina.Some of the antique chests of drawers come from private homes. Some of the furniture units are industrial. We set high quality requirements when selecting our vintage chests of drawers and dressing tables. It’s not enough that they are antique, or vintage. They must be much more. Even with a selective criteria, we still succeed in finding a wide range of quality items from old dressers, mirrored drawer units, French chests of drawers, Art Deco furniture units, and the always popular pharmacy storage units with their countless drawers. 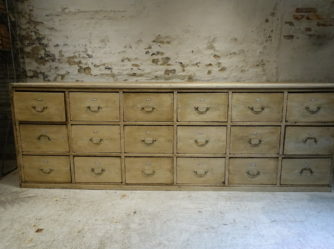 We have all varieties of industrial style dressers to chests of drawers from businesses as well. Many more people today follow the trend for cleaner more elegant lines in interior design, which is exactly why a vintage piece with patina is the perfect way to break minimalism by adding ambiance and history. A beautiful Art Deco chest of drawers for example, or an exclusive mirrored dresser. 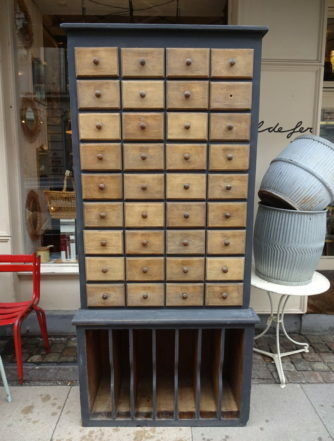 But if you’d prefer a cool raw look, a pharmacy storage unit is a perfect addition.